Beyond R-23, insulation gains are minimal, and usually not cost-effective. If you’re building a home and using wood or steel framed construction, you will need to use insulation inside the wall cavity. This is usually blown cellulose or fiberglass batt insulation. It’s cheap, code compliant, and has been used for decades. But it’s not so great. It’s not really efficient, and for added insulation, walls must be made thicker. The insulation is dependent on the trapped air to deliver benefits; they are highly susceptible to leaks, compaction over time, and when wet it loses nearly all insulative value. Cavity walls of all types also suffer from thermal bridging because the studs that connect the interior to the exterior aren’t insulated, and transmit heat or cold between the inside and outside of a structure. 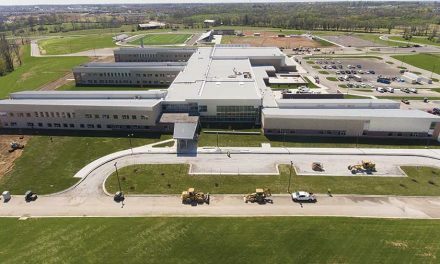 Many climate zones are now requiring special continuous insulation added to the outside, increasing complexity and costing more time, labor, and materials. ICFs deliver a wide range of benefits over cavity wall construction (they’re strong, soundproof, and come pre-furred with insulated studs and a built-in vapor barrier too), but let’s focus on insulation. Most all ICFs provide at least 5” of EPS foam, split evenly with R-11 on both sides of a solid reinforced concrete wall (R-22 total). Why not put it all on the outside? Why is that important? The concrete core, while being very strong, is also very slow to change temperature. Insulating both sides keeps the wall temperature incredibly stable. There’s not enough heating during the day or cooling at night to affect the concrete wall. The walls are also air tight, meaning that you’re not blowing energy out of the wall and heating or air conditioning doesn’t have to work as hard (or at all in some climates). That means that you can buy smaller units to match the real world need. Purchasing smaller units saves you money upfront, but you’ll also save money every month for the lifespan of the home because your HVAC system doesn’t have to work as hard as in traditional cavity wall construction. You also get significant resistance to natural disasters (4-hour fire rating and 200 mph wind protection), noise (STC 50+), and longevity (EPS foam doesn’t rot, decay, host mildew or mold, or lose its insulation value unlike most other insulation). Once protected behind wall finishes, EPS foam will deliver insulation performance beyond the lifespan of any other conventional building material. We all know that products have two levels of performance: what’s promised and what’s delivered. Insulation is no different; the “estimated” miles per gallon when you buy a car and how far you can really drive before you need to refill are different. In the case of ICFs, the real world, in-use performance is greater than the sum of its components. For most other types of insulation, the opposite is true. 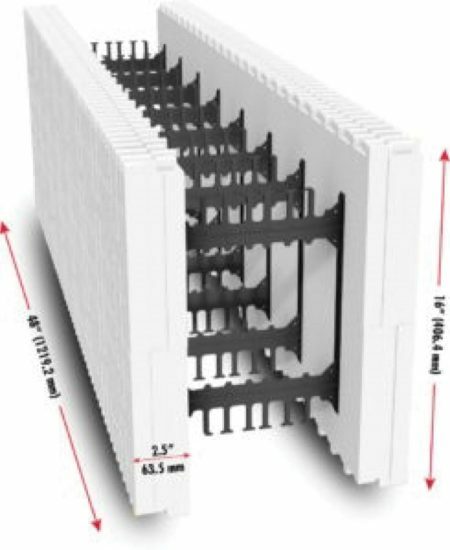 ICFs are generally 2.5” thick EPS foam panels that are connected together with plastic webs. These webs typically include embedded stud flanges and are spaced evenly inside the panel. Together they create a form for making an insulated concrete sandwich. Why 2.5” you might ask? We’ll cover that more in the next section, but based on independent testing, 2.5” panels (5” total) delivers so much insulation value that adding more doesn’t make much of a difference. It’s also rigid enough to not deflect, break, bulge or crack when filled with concrete and rebar. A few years ago, the ICF industry went to an independent ISO and SCC certified lab to do open ASTM standards-based testing. The lab compared a code-compliant 2×6 wood-framed cavity wall (actually built better than most homes) to a standard six-inch core ICF wall. Nothing special was done to the ICF wall. It was stacked, reinforced, poured, and cured for 30 days. The lab then subjected one side of each wall to extremely cold temperatures (-35°). At that temperature Fahrenheit and Celsius are basically the same number. While cooling the outside they measured the amount of energy needed to maintain the interior temperature at a constant room temperature (70°F/22°C). In technical terms, this is called steady state. What matters is they did the same test for each wall. The wood framed cavity wall took 39.9kWh (132,828 BTU) to maintain a constant temperature. The standard ICF wall only took 15.6kWh (53,209 BTU) to do the same work. That’s 2.5X the amount of heat needed, or more simply, 2.5X more money. 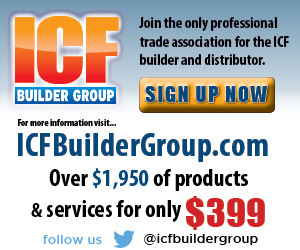 If that were a monthly electrical bill, the wood frame wall would cost you $132 and the ICF wall $53. That adds up quickly. First, ICF forms must be able to withstand the pressures created when concrete is poured into the forms. Most ICFs are generally poured in 48” lifts, and a 2.5” panel is strong enough to keep the foam from distorting. Pressure in an ICF wall depends on the height of concrete poured at once. Pouring in “lifts” means concrete is poured to a certain height and working in a continuous direction around the structure. Once you reach where you started, a second lift is poured following the same path. 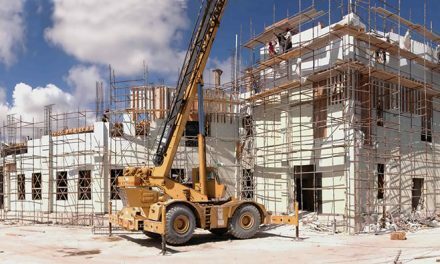 This process keeps the pressure limited to the height of the lift and is repeated until the full height of the ICF wall is reached. A few brands, including BuildBlock and Amvic go a step further and place webs every 6 inches (most other brands space their webs 8 inches on center). The closer spacing adds to the strength of the blocks and ensures that they don’t deform even in very tall or thick walls. Secondly, the 2.5” panels provide 5” of insulation, which is a tested value of R-21 wall. (EPS foam molded at a density of 1.5 pounds per cubic foot delivers 4.2 Rs per inch, so 5 x 4.2 = 21). Let’s compare heat loss reduction at several different R-values. In the graph below you can easily see that the greatest reduction is achieved through R-20. The additional reduction past R-40 is very slight. We’ve covered the basic types of insulation, discussed the properties of ICFs, and talked about the difference between actual and performance R-value. Now let’s take a look at the wizard behind the curtain, the secret sauce, the ICF MVP: concrete. Concrete doesn’t really add any substantial R-Value, but it has so much mass that it resists sudden changes in temperature extremely well and is air tight. Think about a concrete sidewalk after a hot summer day. That concrete will radiate heat and is still warm to the touch several hours into the night. Why is this important? ICFs are a sandwich with really great insulation on both sides of a really strong concrete core that doesn’t change temperature unless a lot of heat is applied to it. So how does this sandwich stack up? A standard ICF wall will deliver performance equivalent to R-45 to R-55 depending on the climate zone. 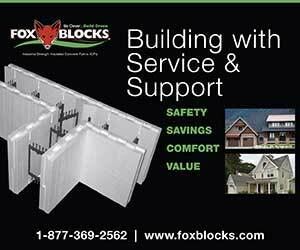 The more extreme the temperature swing, the better ICFs perform. And as we saw above, once you move beyond R-45 the savings become negligible. Building codes recognize that there is a real difference between cavity walls and mass walls. Therefore, there are separate requirements for each in the code. ICF mass walls are nearly airtight and have a built-in class II vapor barrier. This means no air leaks through the wall and the elimination of an additional vapor barrier, saving on labor and cost. ICF mass walls actually have lower minimum material insulation requirements because the actual performance is so high. 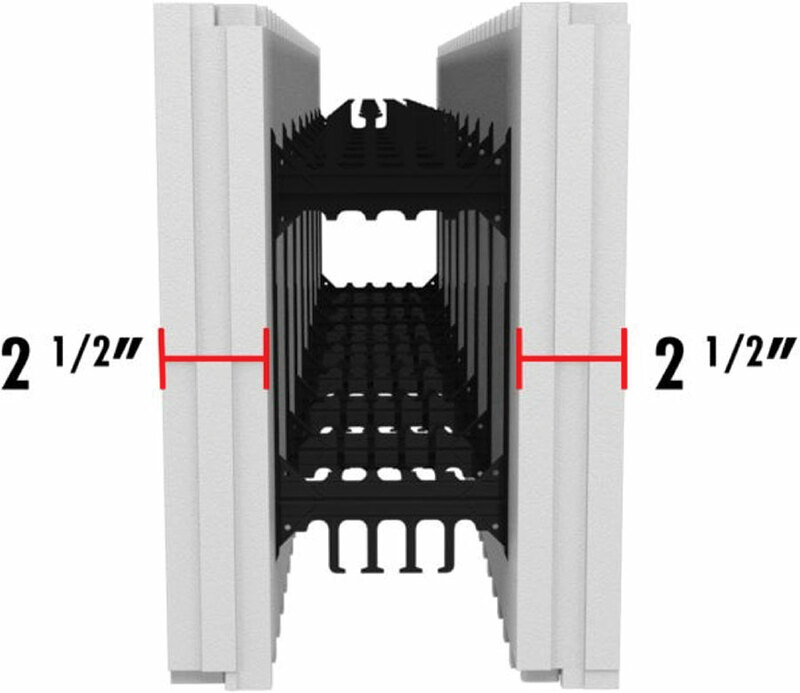 Is the ICF form with the thickest foam panels the best option? Not necessarily. 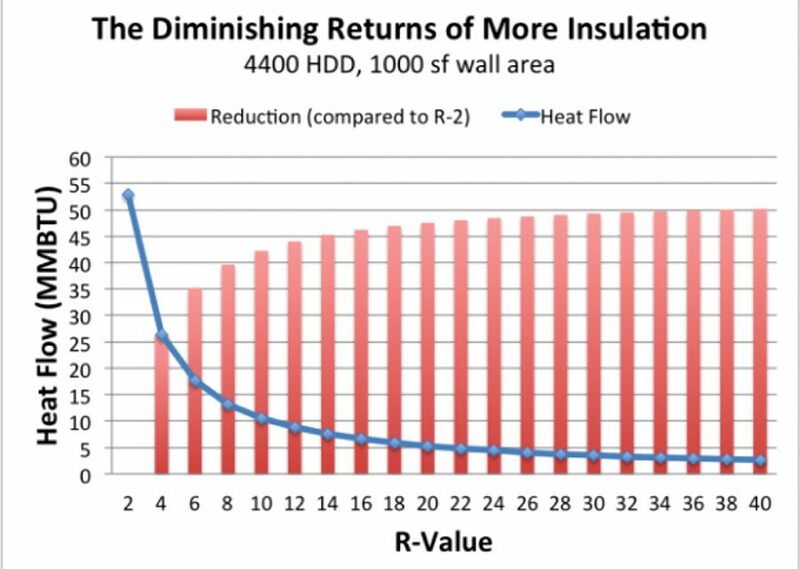 When you take a look at actual insulation performance, especially in a concrete mass wall, beyond R-22 the benefit becomes negligible. Just like a sponge can only hold so much water before it stops being effective, insulation by itself works the same way. You will very easily reach a point where your home expends more energy heating water than it does to heat or cool your home. 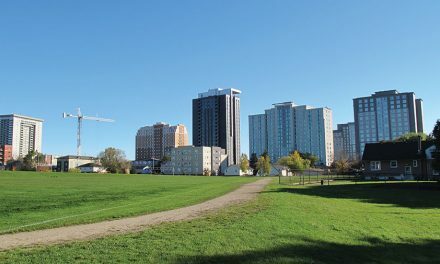 Beyond R-22 the homeowner isn’t going to see or feel drastic benefits, especially when compared to the added cost of thicker blocks. The latest industry testing by the ICF Manufacturers Association used a 2 5/8” panel and proves the wall delivers more than sufficient insulation, even at the test temperature of -35°C. 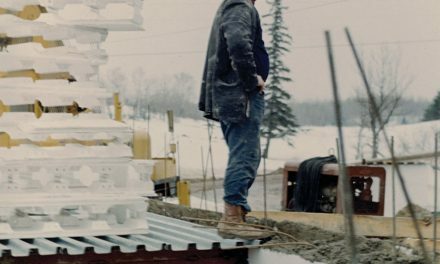 When it comes to ICF form thickness, some people will tell you “more is better”, but science has proven that at a certain point, more is actually about the same. 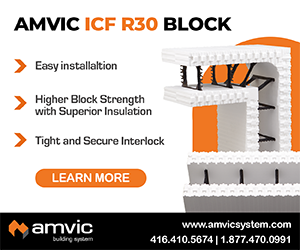 ICFs exceed current and future insulation code requirements and provide drastic advantages over any other type of insulated construction. There are several quality products to choose from when building your ICF structure, but don’t be fooled by marketing tricks saying that you need an ICF with thicker panels. Five inches of insulation makes an incredibly efficient wall without the added cost associated with thicker forms and at the end of the day delivers the same performance, disaster resilience, and peace of mind. Brian Corder is the president of sales and marketing for BuildBlock Building Systems. 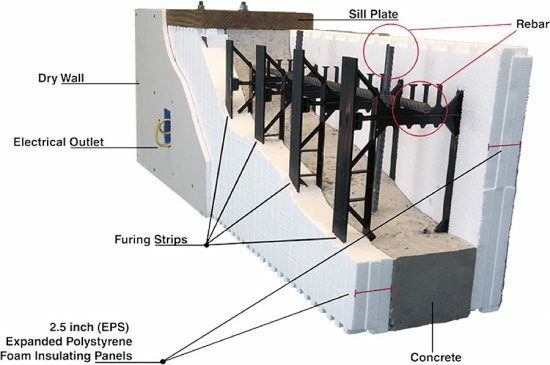 This article is based on a four part series on ICFs, “R-Value, and Insulation” available at buildblock.com/blog and was prepared in collaboration with Insulating Concrete Forms Manufacturers Association (ICFMA) members.